Congratulations on your engagement and thank you for considering the County Arms Hotel in Birr for your forthcoming wedding reception. 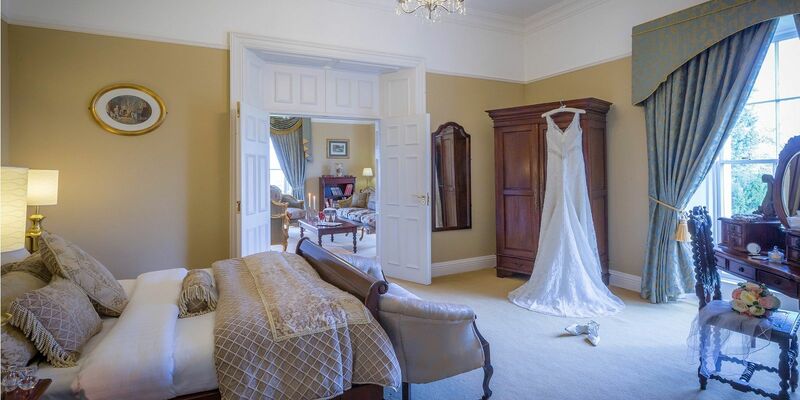 The Loughnane family have hosted Wedding receptions, and more recently Civil ceremonies, at the County Arms Hotel since 1962. What that means for you is that for 52 years, couples have trusted us to manage the most memorable day of their lives and to deliver an unforgettable experience for their loved ones. Your choice of 2 enormous Heritage Suites - Will it be the 4 poster or the free standing bath? A walled Garden is a photographer’s dream. The added advantage of such memorable Photo Opportunities is that you will be only a few yards from your guests. Our setting also ensures that there is extensive Free Car Parking for all your wedding guests. Built in 1809, and recently refurbished extensively, the County Arms Hotel, Birr, County Offaly, has a feeling of grandeur and elegance which is unrivalled in Ireland’s Midlands. Refreshments on arrival - Tea, Coffee & Biscuits for all your guests. Champagne Reception for Bridal Party. Click here to view our Wedding Brochure.